Ever wonder what your pets do when you aren’t home? If you are the owner of a Samoyed or Yorkshire Terrier, chances are your dog is barking. Furbo, the company behind this smart phone-connected, treat-tossing dog camera, released its 2018 list of the “naughtiest” and “nicest” dog breeds based on the number of barks the animals let out a day. Furbo is able to get an idea of these numbers thanks to its product, which can alert owners via a phone notification that their dog is barking. This allows pet parents to check in on their pets through the app connected to the Furbo camera. 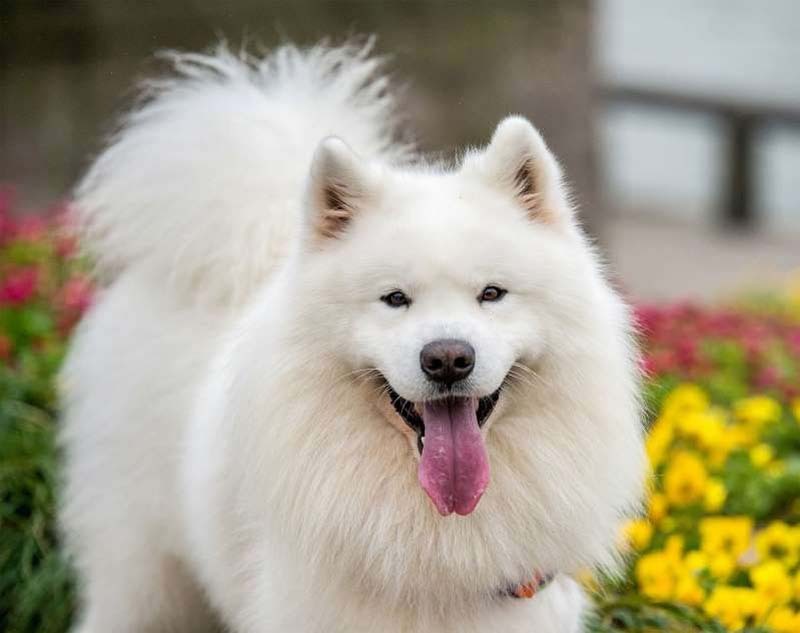 Based on the numbers gathered from Furbo users, Samoyed dogs bark the most, often up 52.8 times every day. The second chattiest canine, the Yorkshire Terrier, doesn’t come close to the Samoyed’s record. According to Furbo the little dogs bark about 23.6 times a day. Bernese Mountain Dogs, on the other paw, are the quietest of the dog breeds, and only let out about 3.1 barks per day. Read on to get full naughty and nice lists, and see where your canine ranks.